Chhenchra is a term associated with cheating or swindling, knavish, one who is unwilling to repay debts, a cheat, a swindler, a knave, a bad paymaster. This particular dish you may call will cheat you as a very expensive one and it may appear to be a very difficult recipe that cannot be easily afforded. But this is a dry dish which can be cooked with discarded vegetable skins from other dishes and fish bones cooked in a little oil. It is a most admirable bhog of Durga puja in the autumn. Chhachra [ছ্যাঁচড়া] is a very simple item, having lots of vegetables and also their peels. You will need vegetable skins thickly cut along with a fair amount of the flesh. It is a favourite Bengali dish. It consists of peels, skin, stems of thrown away or left over vegetable ingredients, such as peel of green gourd, potato skin, thick slices of potato, brinjal, local flat beans, long beans, sweet gourd or pumpkin [skin intact], cauliflower stem, stem of edible green leaves cooked in minimum amount of mustard oil, and like CHORCHORI the recipe needs fenugreek, bay leaves, and dry whole red chili tempering and artistic touch with mustard seed paste with salt and green chilli and a bit of mustard oil which when kept covered increases the strong pungent aroma. It is a dry dish. After finishing cooking with little mustard paste add some sugar, this makes it a straddling and loved item. Even elite families ask their cook to make this dish with expelled ingredients [on other days] to celebrate traditional Bengali food on special occasions. Drop the peeler, eating the skins of fruit and ­vegetables could boost your nutritional intake of vitamins, combat cancer and increase your energy levels. All fruit and vegetables have a "biosynergy", which means the nutritional benefits of each part are reinforced by the others and the skin is not the only healthy bit we discard stalks and cores can also be packed with nutrients. The hairy skin of the kiwi fruit is high in antioxidants and is thought to have anti-cancer, anti-inflammatory and anti-allergenic properties. The skin contains three times the antioxidants of the pulp. It also fights off bugs such as Staphylococcus and E-coli, which are responsible for food poisoning. It is the tough core of the pineapple, not the prickly skin you should be tucking into. Along with fibre and vitamin C, a pineapple’s real benefit lies in an enzyme called bromelain, which breaks down food and dead human tissues and linger in the digestive system, protecting the stomach. The core of a pineapple contains twice the bromelain concentration of the surrounding fruit. Those neat little florets look more appealing, but there is every reason to eat the stalks, too. Stalks can be less flavourful than the florets, but they are notably higher in calcium and vitamin C. The stalks are also high in soluble fibre, so you’ll feel fuller for longer. Researchers in Taiwan discovered banana peel extract can ease depression as it is rich in serotonin, the mood-balancing chemical. The skin was also found to be good for eyes, as it contains the antioxidant lutein which -protects eye cells from exposure to ultraviolet light — a leading cause of cataracts. Garlic skin contains six separate antioxidant compounds, according to research from Japan. Peeling garlic cloves removes the phenylpropanoid antioxidants which help fight the ageing process and protect the heart. All squashes are high in zinc, which helps promote healthy skin and nails, and the antioxidant beta carotene which protects against heart disease and cancer. The skin itself is obviously too tough to eat, but the closer you scrape it against the skin for the pulp — where it is more of a rich, orange colour. The seeds are an excellent source of Omega 6 and essential fatty acids that keep your brain healthy. Most people know potato skins are healthy, but few are aware of the reason why. It’s because the skin is a real nutritional powerhouse. Just one fist-sized potato skin provides half your daily recommended intake of soluble fibre, potassium, iron, phosphorous zinc and vitamin C. Pound for pound, potatoes contain more vitamin C than oranges, so are perfect for anyone looking to ward off colds. It is not only nutritious, but is also a wonderful cooling vegetable that can really help you fight the hot summer months. It helps in weight loss and brings glow to the skin. Few causes of dull skin are sunburn, stress, illness and age, which results in dark eye circles, which leads to early wrinkles. Rub the bottle gourd flesh on your face, required portion massage with motion, it helps making skin soft and supple and by neutralizing the skin damage. Even if one has prominent spots of eucoderma [শ্বেতী], freckles/ephelis/lentigo [মেচেতা], or urticaria [ছুলি], it will make it vanish after regular usage. Eating roasted bottle gourd juice repairs the skins. Add some honey in it. You can have this juice every day. This juice surely will make your skin glow after some time. In the scorching summer heat a bowl of gourd which does not pacify ones soul, such Bengalis are hard to be found. Curry to dessert, the blessings of bottle gourd are unmatched. As a matter of fact gourd is also used in most of the favourite sweet dishes of a Bengali. "lau morabba" is a very delicious creation. Siuri and Rampurhat of Birbhum, West bengal is famous for this. It is true that pesticide spraying is a regular "inbuilt" activity of modern agriculture. However just throwing out the skins of vegetables or fruits will not remove most pesticides sprayed on, since those pesticides are often systemic in action and not contact, i.e. the poison is absorbed into the whole fruits not just the outer part! When you peel the outer skins from vegetables, you are throwing away many of the nutrients the food contains. It is best to scrub the outer skin and leave it on for cooking and eating to get the most health benefits. The method of cooking is important also in saving nutrients. Vegetables are tossing away some of that goodness during cooking. The best method of cooking is steaming. · It can bring back the lost glow of the skin or enhance the color of the skin as well. · If you are suffering from any digestive problem or if one is diabetic then bottle gourd juice can help the diseased person. · Dietary fiber present in the bottle gourd helps in constipation, flatulence and even hemorrhoids. · Pulp of bottle gourd rubbed on the soles relieves the heat and burning sensation. 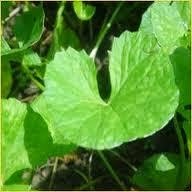 Bottle gourd is immensely beneficial for the treatment of skin diseases like eucoderma, lentigo, or urticaria. The process is simple. A small portion of the gourd has to be slightly roasted and then rubbed on the affected area in regular intervals of 2-3 days. The scar vanishes eventually. The soft white inner portion of the gourd if rubbed on the face regularly helps in preserving glamour and prevents the appearance of signs of ageing. The juice of gourd extracted after slight roasting if had with some honey helps in treating digestive disorders, hematorragia, bad body odour and vomiting feeling during fever. The juice of the ground stem with some water treats acute and chronic constipation. Pyorrhea and bad breadth can be treated by rinsing the mouth with the juice of roasted bottle gourd that has been kept for 10 minutes prior consumption.